Smiley Cookie Ice Cream Sandwiches: Only at Klavon's Ice Cream Parlor! Check out this sweet partnership! 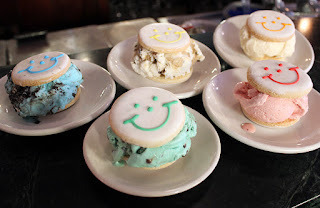 We've recently teamed up with Klavon’s Ice Cream Parlor in the Strip District to create limited-edition Mini Smiley Cookie ice cream sandwiches to benefit our 2018 Caring for Kids campaign! 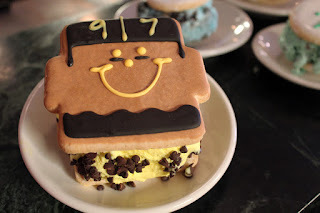 Klavon’s will also be using our SmileyCookie.com honorary Smiley Cookie, Cam Heyward, in their new line of ice cream sandwiches! Cam's sandwich will come with banana ice cream and chocolate chips. All profits from the ice cream sandwiches will benefit the Children’s Hospital of Pittsburgh Foundation. Stop down before December 8 to try yours today!